Ramadan, a Bedouin man from St Katherine, sits by the fire. He’s wearing a faded green army jacket and a mauve shemagh, huddling to keep warm as an autumn wind rustles the trees. We’re in his orchard – a beautiful cluster of almond, lemon and olive trees at the foot of Mount Sinai – where he lives with his family. It used to be a favourite stopping point for hikers in the mountains: they’d visit his orchard every week, drinking tea and buying fruit or handicrafts made by local women. Sometimes, they’d even stay overnight, sleeping in stone rooms and shelters between the trees. He has enough room for a hundred people. 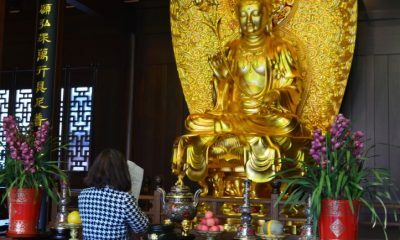 But it has been a long time since a hundred people have done anything here. The orchard is quiet and the rooms and shelters stand empty; a reminder of better, more optimistic times in the past. Like many parts of Egypt, South Sinai has been in the grip of a crippling tourism crisis in recent years. Towns that once thrived with tourism – like Sharm el Sheikh, Dahab and Taba – have resembled ghost towns at times since the 2011 uprising. But nowhere in South Sinai has suffered as much as the interior. Here in the rugged mountains around the town of St Katherine – home mostly to Bedouin communities – times have been exceptionally tough. 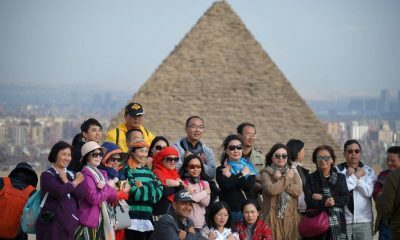 Without tourism – which has been woven so tightly into local livelihoods in recent decades – there is little else to fall back on in these harsh deserts; at least nothing in the modern economy. The Bedouin say it’s the toughest crash they’ve ever known. 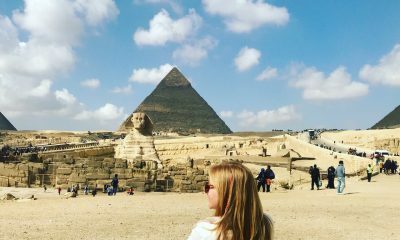 Harder and more prolonged than even the tourism crash which followed the bombings in the tourist resorts of Taba, Dahab and Sharm el Sheikh between 2004 and 2006. But that the tourism crash has happened like this and – moreover – that it’s still happening shouldn’t be a surprise. Over the last few years, the Sinai has been portrayed as the setting of an Islamic insurgency, with a string of near-weekly stories about bombings, ambushes and extremism in the peninsula. There has been little meaningful distinction in the mainstream media between North Sinai – in which there are pockets of persistent unrest – and South Sinai, which has remained largely peaceful and quiet. Clichés about the ‘Lawless Peninsula’, the ‘Troubled Frontier’ or the ‘Restive Province’, or stock sentences about ‘Sinai – the peninsula that has become increasingly lawless since the overthrow of Hosni Mubarak’ – have been recycled from one article to the next, as if 61,000 square kilometres of desert could be talked about in simple, singular terms. 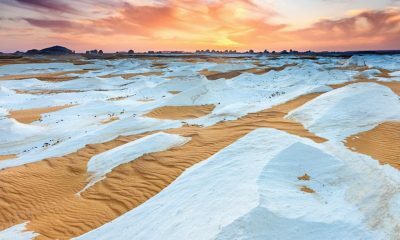 As if the Sinai – North and South – was a plain uniformity. 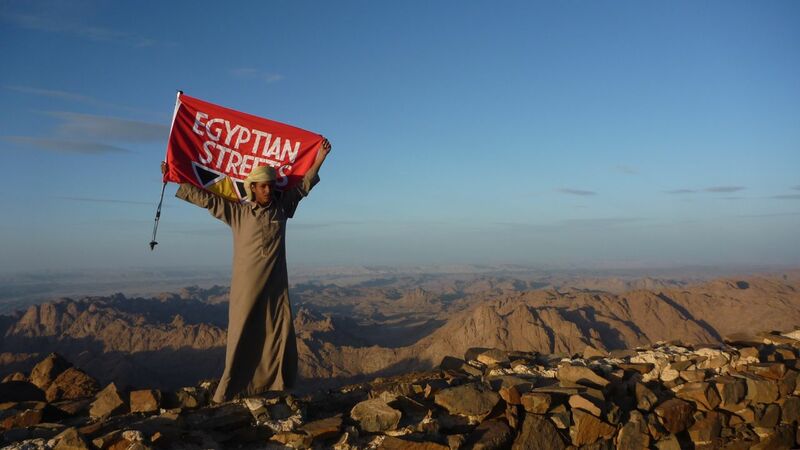 The Sinai has been portrayed as Egypt’s proverbial Heart of Darkness. And government advisories about the Sinai have only reinforced such an image. Travel warnings have been issued by most Western governments about South Sinai. And even when these have been removed for coastal resorts – like Sharm el Sheikh and Dahab – they have remained in place for the interior. These warnings don’t only lend credence to the perception that South Sinai is a dangerous place to visit. They make it harder for tourists to get travel insurance, creating real, practical obstacles to tourism. Many deterrents have grown around tourism in South Sinai in recent years. For local Bedouin communities, these narratives about their homeland read almost like they’re about another place. As if they’re written to conform to an unquestionable truth established by previous stories in the media; or as if the drive to theoretical neatness and a single-peninsula theory is prioritised above the actual reality on the ground. The Sinai has been chronically misrepresented for years. 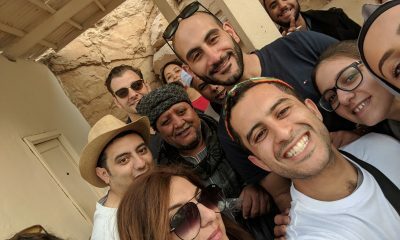 Recently, a community group in St Katherine – led by Bedouin figures of the Jebeleya tribe – met to discuss ways of challenging this ongoing misrepresentation and connecting with the outside world in a more accurate, positive way, on their own terms; of doing something to challenge perceptions of the Sinai and encourage the return of tourism to the area. Out of this meeting came the idea of arranging a special hike. A hike that would bring people together from all over the world to send out a message about safety in the region. Last weekend – after a solid month of planning – the hike became a reality. More than 60 people gathered in the town of St Katherine. They came from mainland Egypt and countries as far away as Austria, Chile, Russia, the UK and New Zealand. There were Bedouin from different tribes of the Sinai, as well as families with children as young as six. 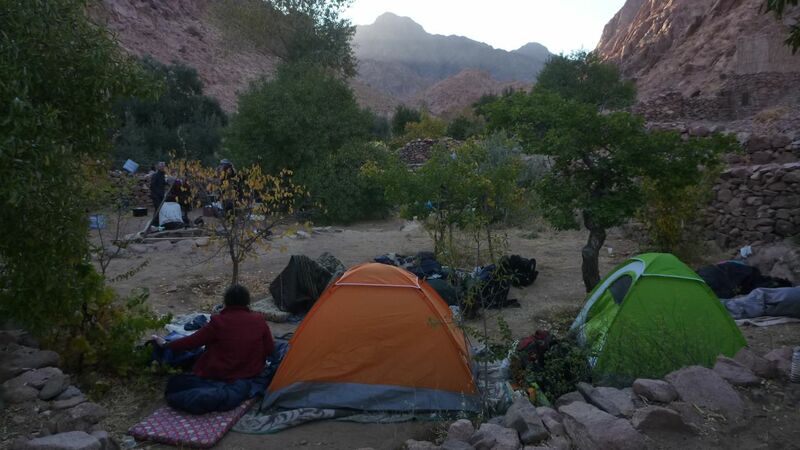 Together, the hikers climbed one of the biggest mountains in the region – Jebel Abbas Basha – and slept in an old Bedouin orchard, walking out the next day through a spectacular gorge with water pools. 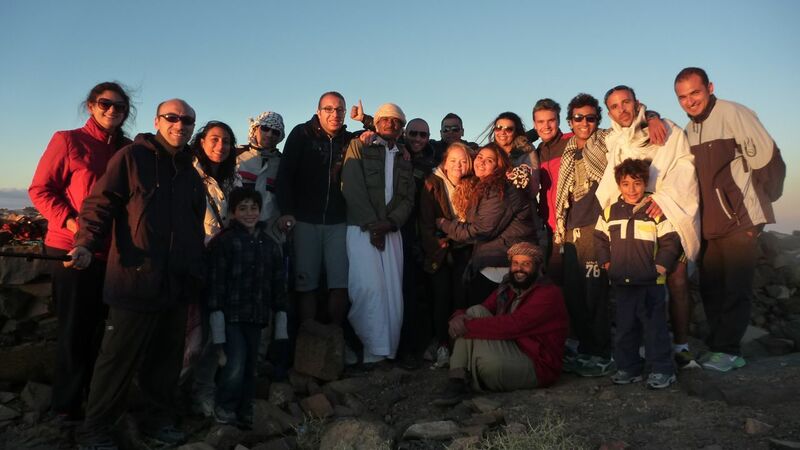 They came to support the local Bedouin community – who ran the hike from start to finish – and to explode the narrative about South Sinai as a place of danger. They walked deliberately in the area Western governments mark on the map as the danger zone. 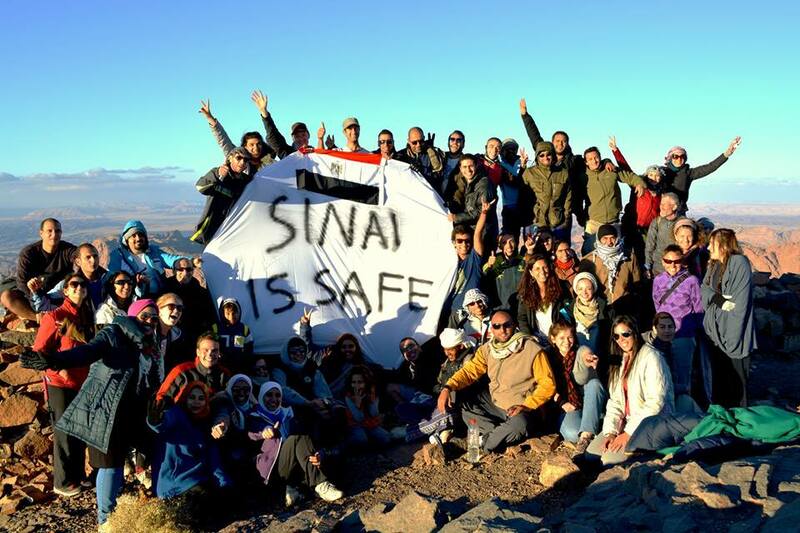 Together, they united around a single message: SOUTH SINAI IS SAFE. Before the hike, some people decided not to come for safety concerns. Others questioned why it was still going ahead after the recent bombing in North Sinai, saying it was a foolhardy risk. To the contrary though, the hike was never at risk: safety was at the forefront of every consideration about it and it went ahead only because the organisers felt completely sure it was secure. Judgements about safety weren’t made by outside commentators: they were made by the most influential figures in the local Bedouin community. Which is to say, by the people who understand the region in its own cultural language, better than anybody. When it’s seen through Bedouin eyes, the Sinai is a different place. Glance at the Sinai on a modern political atlas, and you’ll see a land of neat, straight-line borders; a single peninsula, usually shaded a single colour. With Bedouin eyes, it’s much more complex; a patchwork of small territories, each belonging to a different Bedouin tribe. The tribe is the major unit in Bedouin society and its importance is hard to overstate. Each Bedouin tribe has its own sense of history, identity and independence. Sometimes tribes even have their own dialect and cultural traditions. Each tribe was forged through centuries of shared survival experiences in one of the hardest desert environments on earth and the bonds that hold its members together are extraordinarily strong. The tribe is a grouping that commands an exceptional sense of loyalty for the Bedouin; one that trumps anything else. There are over twenty Bedouin tribes in the Sinai, each functioning much like a mini state. And, like any sort of state, each Bedouin tribe feels a strong emotional connection to its territory; to the ancestral lands in which it has lived through the centuries. To outside eyes, familiar with icons of modern security – like the army and police – the Sinai might look insecure. It might look like a land of open deserts and bare mountainsides into which anybody could wander unchecked. But it doesn’t work like that. The Bedouin have their own forms of tribal security, their own ways of watching the land. It isn’t done by people who wear uniforms, who address each other in ranks and take home a salary at the end of each month. Ordinary Bedouin do it, perhaps a shepherdess herding goats, an ibex hunter looking for his prey, the resident of a Bedouin village or a wayfarer passing through the mountains. Each has a firm sense of loyalty to the tribe and a vested interest in protecting its territory and each watches it carefully, distinguishing outsiders from members of the tribe easily. Information about who’s where gets passed around fast – even in remote tracts of the mountains – and any concerns are raised quickly with the Sheikhs. This is especially the case in the interior areas of South Sinai, where the Bedouin remain the only – or at least the majority – inhabitants of the land, and where their traditional security systems remain strong. Down on the coasts, where the Bedouin have been mixed into more diffuse urban societies, traditional ways of monitoring the land have been weakened. The coasts might look the safest, with all their checkpoints and security. Actually though, the historical record tells another story. 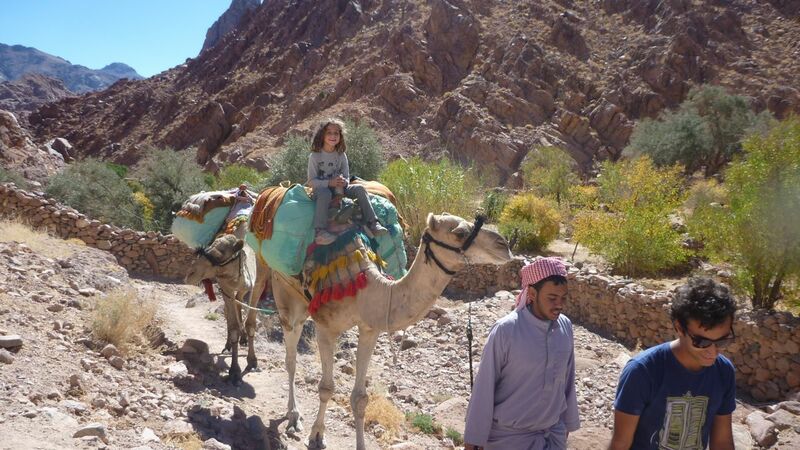 The interior parts of South Sinai have never seen an attack against tourists. They’re said to be the most hazardous by governments but – statistically – they’re the safest. And they always have been. 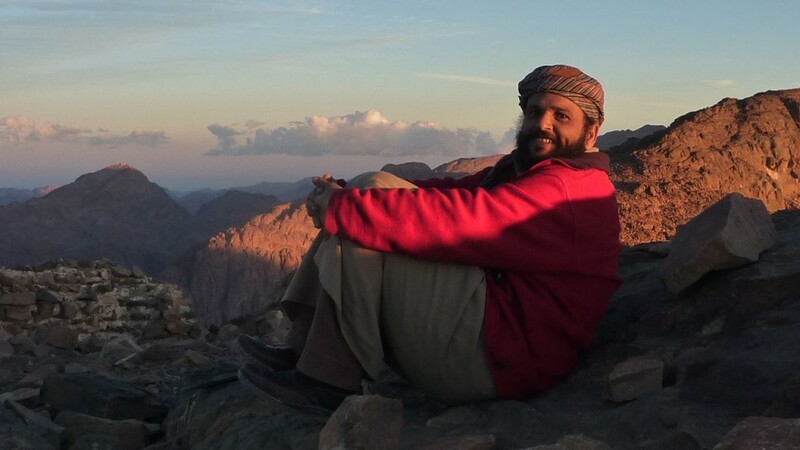 The Bedouin in the mountains of South Sinai know who’s where and what they’re doing and – for this reason – the hike went ahead in the full knowledge the area was safe. And it wasn’t just this. Travellers accompanied by the Bedouin have an extraordinary degree of protection in Bedouin lands. Tribal law still holds strong across these parts of the Sinai, regulating Bedouin behaviour to a remarkable degree. 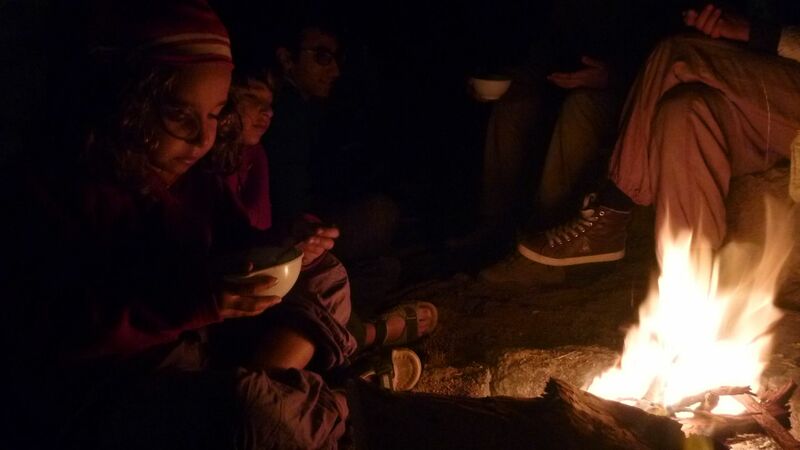 The tourist kidnaps which began in South Sinai in 2012 – which it’s important to state were never the sort of militant kidnaps seen elsewhere in the Middle East and which were brought to an end by inter-tribal Bedouin meetings – all involved tourists who were travelling without Bedouin escorts, which is no coincidence. This isn’t to justify the kidnaps; it’s simply to underline the weight Bedouin law still carries in regulating these remote, interior parts of the Sinai. The organisers of the hike knew it’d be safe for other reasons too. 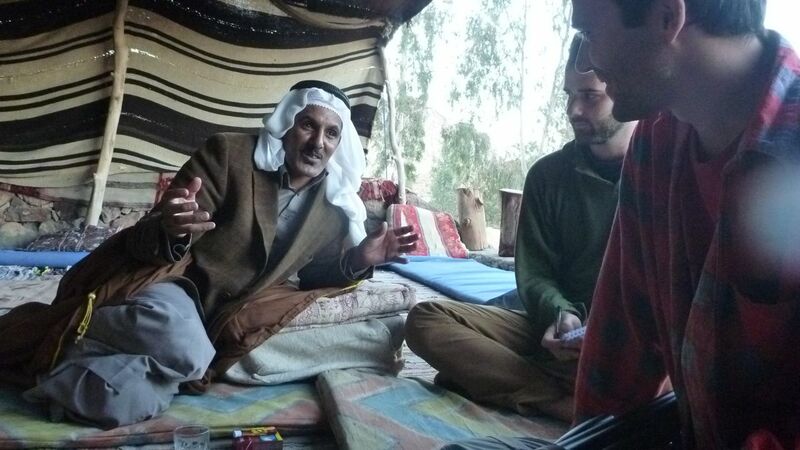 Ultimately though, it came down to the same thing: local, Bedouin knowledge about the region. Narratives that portray South Sinai as one half of a wholly dangerous peninsula are invariably written by outside commentators. 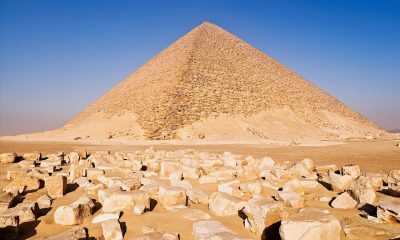 The Sinai isn’t the same as mainland Egypt – or anywhere else – and it can’t be understood using the same frames of reference. Unfortunately, the Sinai is a place whose story is told by virtually everybody except its own Bedouin communities. If it could be summed up with a catch-all cliché it wouldn’t be the Troubled Frontier, the Restive Province or the Lawless Peninsula: it would be the misunderstood one. That the Sinai has so few home-grown Bedouin journalists to tell its story is a major loss to its cause. So too, that it doesn’t have a community of bi-lingual Bedouin bloggers and social media activists who can challenge mainstream narratives where they appear online, at least not one that can compare with mainland Egypt, where bloggers have challenged mainstream news – in a language the world can understand – so effectively in the last few years. Unfortunately, with the Sinai, many stories go unchallenged for these reasons. 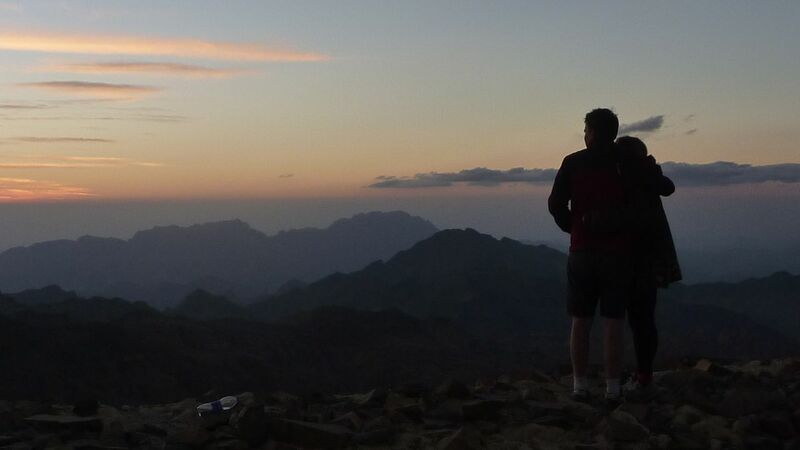 Hopefully the hike in the mountains around St Katherine will go some way – even if just a small way – to showing that South Sinai is not the danger zone it’s made out to be. To showing the region in a more positive light and emphasising that there are alternative – and better – ways of understanding it than what underpins the bulk of what’s written. People who joined the hike have already shared hundreds of pictures on Facebook, Instagram and Twitter which – as much as sending a message to the world about safety – might showcase the beauty of these mountains and revive tourism on other grounds. The more people who visit, the more it will become clear mainstream narratives don’t fit the place they’re written about. 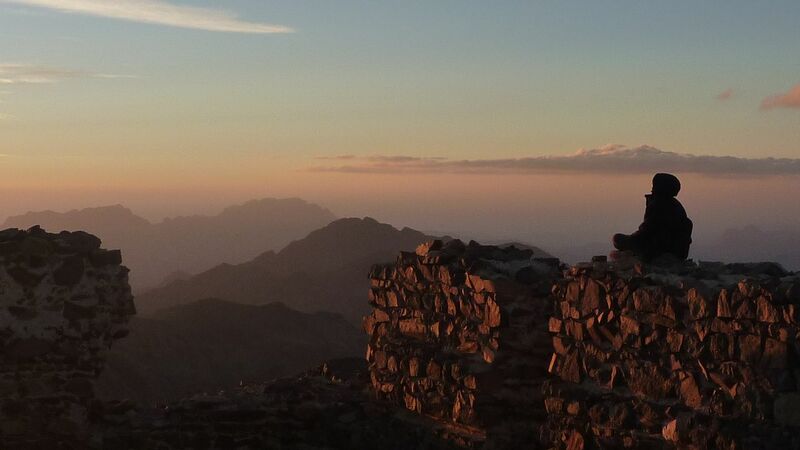 The more the name of Sinai can be reclaimed and coupled with positive associations and the more things might begin to change for its local Bedouin communities, whose livelihoods and name have suffered through misinformed narratives about the Sinai for too long.